There are few things that do not have disadvantages besides advantages. Many politicians are experts at intensifying/reducing the weight of these aspects, depending on the benefits they might bring them. 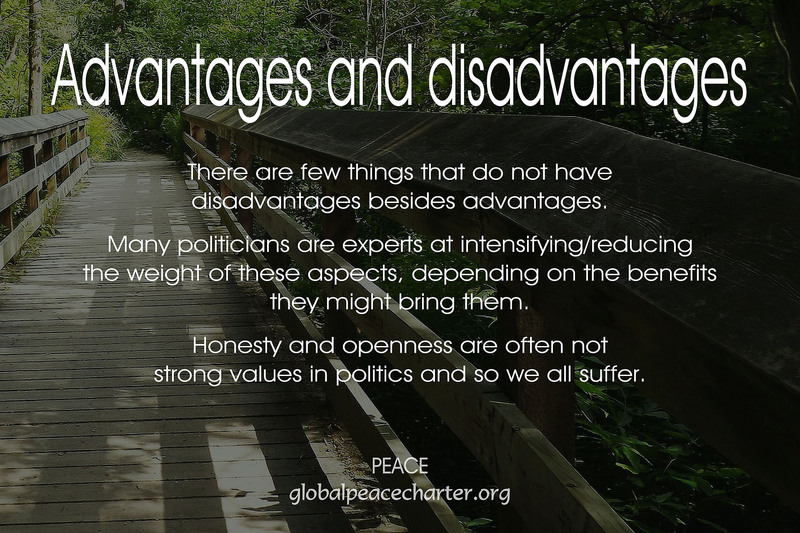 Honesty and openness are often not strong values in politics and so we all suffer.